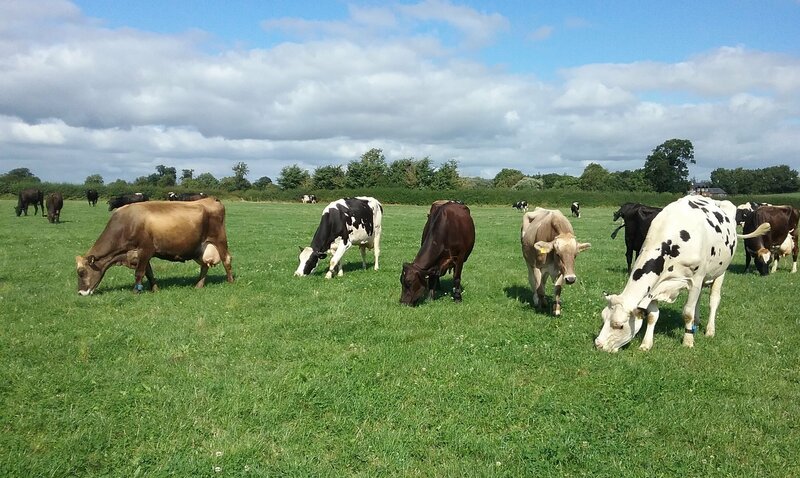 The problem for most consumers is that the ideal they have of cows in fields leading happy, content lives and providing milk from this farming system for our daily pint of milk is under threat. 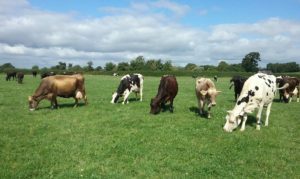 It’s a difficult time for the dairy industry but as we go into Brexit, maybe now is a good time to shine a spotlight on our food and farming practices and decide on what we want from our food polices going forward. Without the knowledge or agreement of many consumers, there’s been a trend towards intensification of food and farming practices in the UK. It’s peddled as the answer to food security but does not reveal the bigger impacts of cheap food production on animal welfare, the health of the nation and our environment. 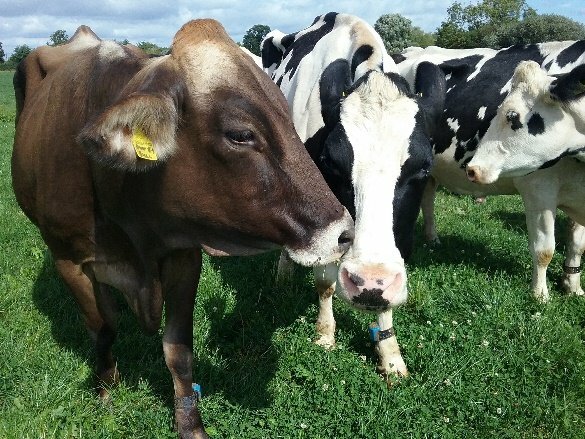 Nocton Dairies, a proposed 8,100 cow dairy that would have created a mega dairy operation, with cows having little to no access to grazing, lost its planning application. But an application for a large intensive farm in Welshpool was approved after the Judicial Review decision was overturned by the Welsh Government. Katie Peerless, the inspector holding the inquiry submitted her report to Welsh ministers with six main points for recommending refusal. They included: The effect on the character and appearance of the area; slurry spreading and disposal of waste water; the impact on residents of odour, noise and the need for pest control; residents’ health, including children at the local primary school; animal welfare and human rights. But in a letter explaining his decision Welsh Minister Carl Sergeant said that social and environmental implications were outweighed by economic benefits. This was at a time when cheap milk was starting to flood the UK market and farmers started to leave the dairy industry. We didn’t need another large dairy farm contributing to this problem. Some dairy farmers have expanded their operations and later apply for retrospective planning permission. Local communities have found the small dairy farm down the road becomes a large intensive dairy unit run 24/7. Leading to people feeling angry with the local farmers and council, powerless that their democratic rights have not been take into consideration. The noise, the smell, the flies, the need to dispose of slurry now becomes a constant for people who moved to the countryside for a quieter life. This was a common theme from my work with local communities in protest against large intensive farms in their areas. People buying milk in their supermarket might not know it’s coming from large intensive or factory farms. They see a picture of a cow grazing in a field on the milk bottle or at point of sale and assume that’s how the milk was produced. A major supermarket takes over 40,000 litres of milk from a large intensive farm with cows kept in large sheds with little to no access to grazing, but nowhere on the milk bottle is it clear that’s where the milk came from. When Countryfile ran a programme on a large intensive dairy farm in Somerset, viewers were outraged and took to twitter to vent their anger. The dairy industry is under a lot of pressure. Cheap milk has been great for consumers struggling with low wages but hasn’t done the farmers, cows or our countryside any favours. Cows aren’t a cog in a factory wheel, on a conveyor belt producing milk but living, breathing creatures with their own personalities. Studies of cows show they will work as hard to go outside as they will for food. They’re showing us they want to be outside. Anyone watching this film of the cows going outside for the first time, after a winter indoors, can see how happy and excited they are to be on pasture again. Neil Darwent and I set up Free Range Dairy Network with the Pasture Promise logo as a clear indicator that the milk in that bottle is from cows that have grazed a minimum, not an average, of 180 days and nights. Vegans might want to get rid of the dairy industry but it will always be here. With the rise of factory farms across the UK, it’s a clear assurance that none of our cows are kept in intensive, factory dairy farms. If we want change it’s up to us, the consumers to vote with our money, on the type of dairy industry we want in the UK. Cows don’t have a voice but you have a choice.